Posted on Tuesday, January 15th, 2019 at 1:46 pm. It can be amazing to take a step back and compare where you are now to where you started. PacMoore has been transformed over and over again in its lifetime. Before the name PacMoore ever existed, the seeds of this company had been planted. In the video below, Bill Moore talks briefly about those seeds, planted by his stepfather George C Meyer. 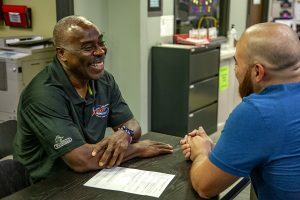 George’s love for his employees set the tone for the culture of PacMoore before it ever existed. Allow Bill to explain this culture of employee care in his own words. The unique niche PacMoore occupies today came from a series of decisions and occurrences which no one could have predicted. The timeline is remarkable when you take a look at it with a bird’s eye view. Believe it or not, it all began in the 1960s on the family farm in Joliet, IL! The George C Meyer Company is born as a pallet refurbishing business on the family farm in Joliet, IL. George Meyer expands the pallet company to facilities in Hammond, IN and downtown Chicago. 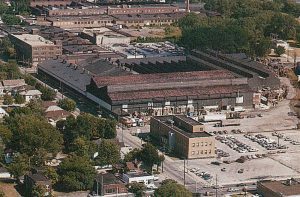 George purchases an American Steel Foundry property and forms a partnership with American Maize (now Cargill) to store industrial starch in this building. When American Maize decided to move their operation, George worked out a deal with them to purchase all of the stored products and resell them. The bank that owned the note on his property filed bankruptcy, forcing George to file as well. George died unexpectedly on December 25, 1989. Bill Moore took a leave of absence from his position at Proctor & Gamble to help his mother and brother with the late George Meyer’s business. Bill, with his mother Margaret and brother Cliff formed a warehousing company in Chicago called Cal Maize Distributions. Bill’s brother made and sold pallets on one side of the building while Bill focused his efforts on selling off-spec ingredients from the other side. He set up a lab in his office to analyze each product he had access to and determine the possible finished products he could make. December 16, 1991: The George C. Meyer Company plant burned to the ground due to reasons that have never been known. To restart the business, Bill purchased blenders, a bagger and a sifter. Bill leased temporary space in a warehouse next to Cal Maize for the next two years. After the fire, the family decided to split the George C. Meyer Company into three entities. 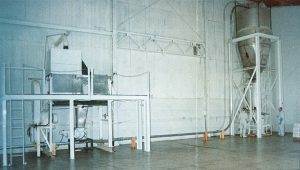 PacMoore Products, Inc. was incorporated. PacMoore moved into its current facility on Summer Street in Hammond, IN. PacMoore built its first new building – a finished goods warehouse as an addition to the Hammond facility. The first plant manager was hired and Bill began to build a management team to support the growth of the company. 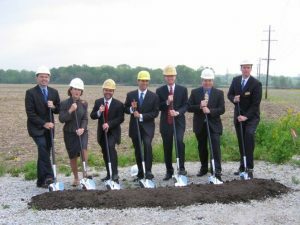 Bill began building a new facility in Mooresville, Indiana. this would be the place where PacMoore could focus on growth in technology and innovation. The new facility was dedicated to the Lord in a public ceremony with local officials. Chaplains were brought in for both facilities to minister to employees at a more personal level. 2007 was a trying year after a few of our primary customers lost the business they had always sent to us but over the next seven years our sales would more than double from $12MM to $25MM. 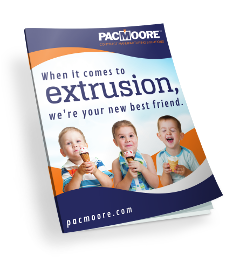 PacMoore has since started PacMoore Uganda, added spray drying, extrusion, milling, heat treatment, and so much more to our dry blending, repackaging and consumer packaging capabilities. The PacMoore Innovation Lab opened on June 22, 2015 in Gridley, IL. This site offers product development support with a Wenger TX-57 twin screw pilot extruder and an experienced extrusion team led by Jonathan Baner, our Senior Technical Manager for Extrusion and a Certified Food Scientist. 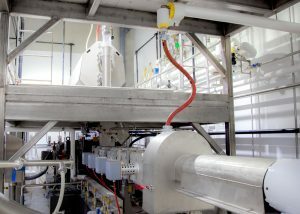 PacMoore’s full scale Coperion 120 twin screw extruder was commissioned at PacMoore Process Technologies in Mooresville at the end of 2016. After developing and validating products at the PacMoore Innovation Lab, they can be brought the Mooresville to produce up to 3,000 lbs per hour. These are just some of the major milestones in the PacMoore journey. Today in 2019, we continue looking ahead, excited about what new opportunities await. In the meantime, we are still passionately focused on growing people so we can be exceptionally good at feeding the world. This is our vision. To read more detail about our humble beginnings, visit our history page. RELATED CONTENT: What is Marketplace Ministry? Share this on Facebook, Twitter, LinkedIn, Google Plus, or email to a friend. Rachel Ferguson has been at PacMoore since graduating in 2013 at Indiana Wesleyan University with a B.S. in International and Community Development. Rachel handles many aspects of marketing, trade shows and graphic design for PacMoore from the Corporate Headquarters in NW Indiana.